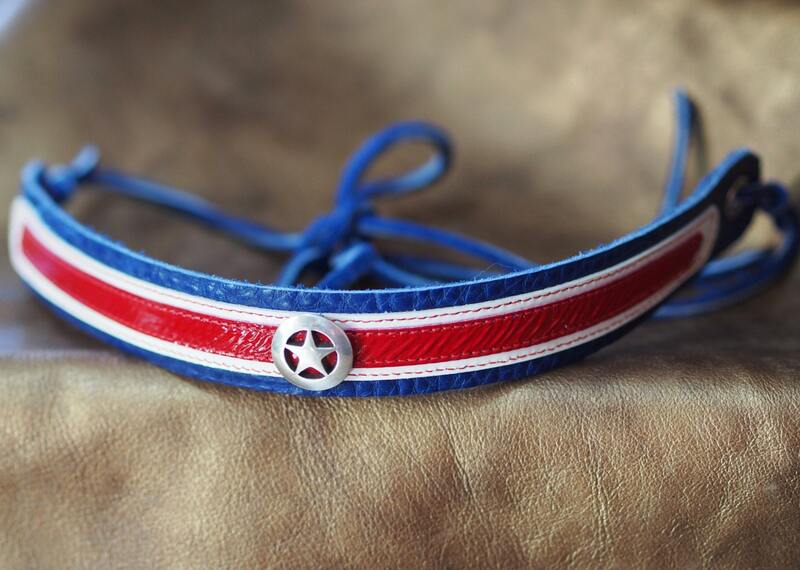 This hat band or neck choker is inspired by Captain America, or for when you're just in patriotic mood! The current sizes are 12" long and 10" long, but I can customize so it can suit whatever use! 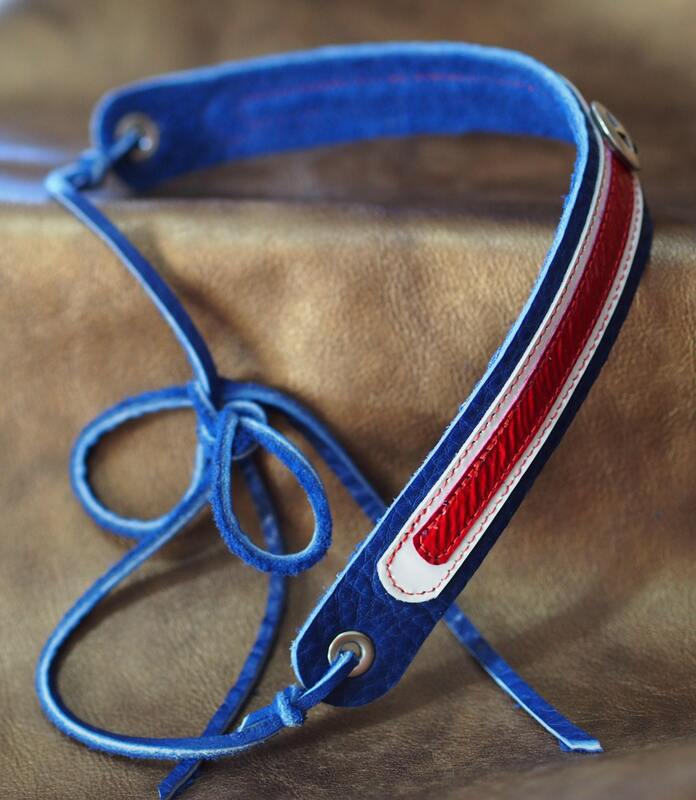 The main blue band is a super-soft cowhide that is 1" wide and 12" end to end, with nickel finish grommets about 1/2" from the end for laces (comes with those cut from the same cowhide). The white stripe is 5/8" wide patent pigskin, and the red is 3/8" wide patent pigskin. 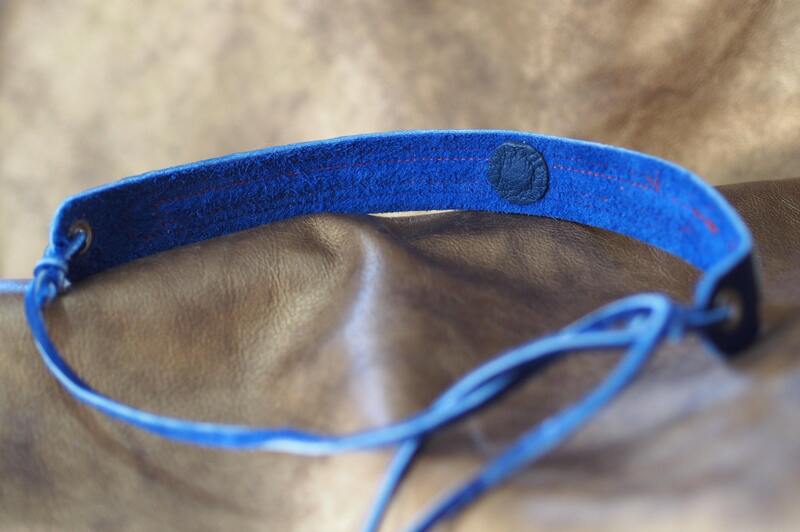 These are glued and stitched with red thread to the blue base strap. 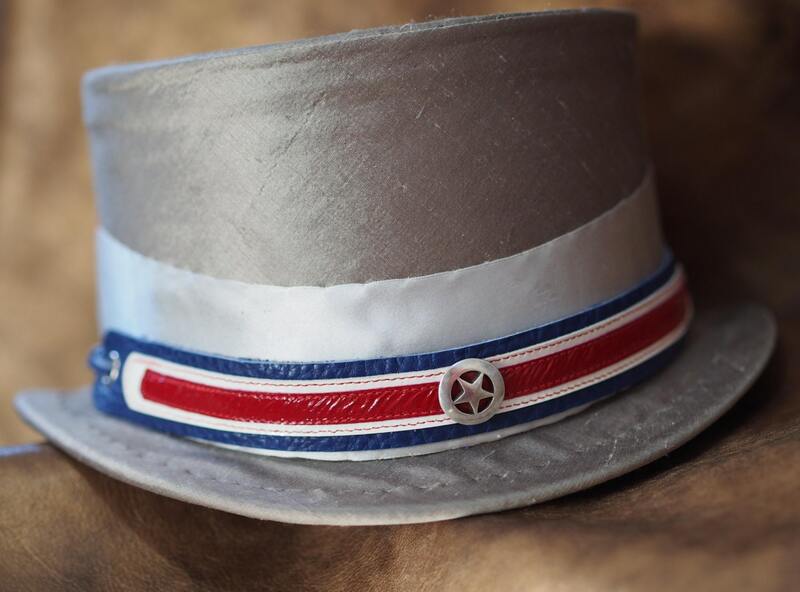 A 3/4" nickel silver star concho is centered on the strap, and its attachment screw is held fast with loctite and is covered with a piece of lambskin to protect your skin or hat. 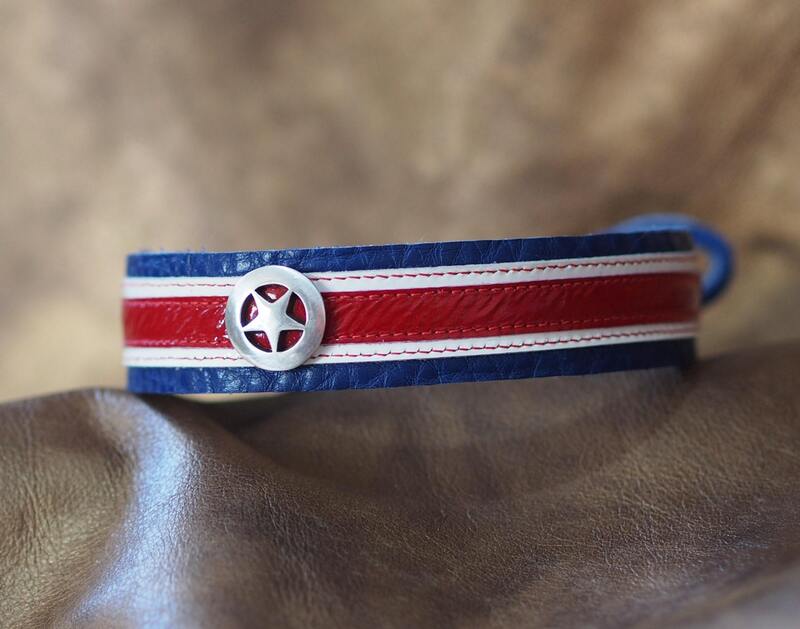 The center of the star is backed with the red patent leather (in my wrist straps, the conchos are backed with the blue leather).